HARTFORD – The just released audit of the state employee pension funds shows Connecticut is the worst funded pension plan in the country and underscores the need to rein in worker benefits before the system goes bust, House Republican Leader Themis Klarides said today. She pointed to a series of Republican proposals that have been crafted in recent years, including creating a defined contribution system for new hires and reforming the overtime payment guidelines for state workers. Connecticut’s pension plan is funded at 35.5 percent, lower than Kentucky which is second worst in the country at 37 percent. 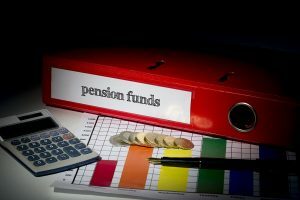 “The valuation of state employee pensions has hit an all-time low and the unfunded liability grows every day. This is not a question of the state putting more money into the account, we must overhaul the entire system before it goes broke,’’ Klarides said. The report by Cavanaugh MacDonald Consulting LLC shows that the State Employee Retirement System (SERS) is funded at only 35.5 percent of what is needed to meet the state’s obligation to workers. In the last two years alone the funding level dropped from 41.5 percent to the current level. Beneficiaries have increased slightly to a total of 50,019 people in the system. A mandatory Defined Contribution Plan for newly hired employees only, with the state contributing no more than 4% of each employee’s salary level (457k Plan). This would be in lieu of the current Defined Benefit Plan. Over time the changes will reduce the unfunded liability and stabilize the system for current and future workers, Klarides said. “We can spread out the liability costs for a number of years as the Governor has done and make sure the state puts in enough money to cover current obligations, but a major overhaul is critical to ensure the viability of this system,’’ Klarides said.